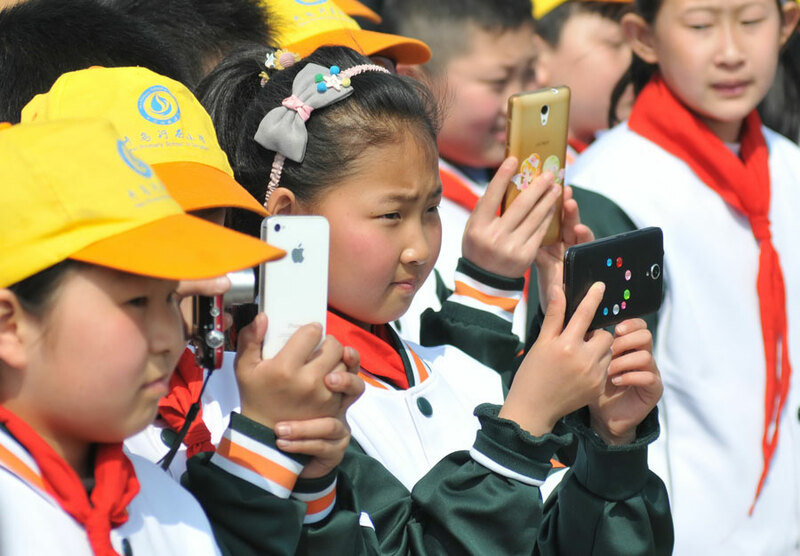 Students in primary and secondary schools in East China's Anhui province will be banned from bringing electronic devices, such as mobile phones and tablets, into the classroom. The scheme also requires that the amount of time electronic devices are used for teaching in class should not exceed 30 percent of the total teaching time in principle. It also calls on parents to minimize the usage of electronic devices when accompanying their children and limit their children's usage of electronic devices, especially preschoolers. According to the scheme, Anhui aims to significantly reduce the incidence rate of myopia among children and teenagers in the province by 2030. The myopia rate of 6-year-old children should be controlled at around 3 percent, and the rate among primary school, junior high school and senior high school students should drop to below38 percent,60 percent and 70 percent respectively. The province will set up files to track the eyesight of children and adolescents and also carry out regular vision tests. From 2019, the province will achieve a coverage rate of more than 90 percent for annual vision tests in children aged 0-6, said the scheme. The scheme also requires primary and secondary schools to reduce students' academic burdens. Primary schools are ordered not to assign written homework to first and second graders. Junior high school students should get no more than 90 minutes of written homework per night. The amount of homework for senior high school students should also be kept within a reasonable level, said the scheme.